David Backes, forward on the U.S. Olympic hockey team and Captain of the NHL St. Louis Blues has been working hard on and off the ice in Sochi. Backes, along with wife Kelly Backes, and Blues teammate Kevin Shattenkirk are attempting to work out the necessary logistics to take some of the Sochi strays home with them. Backes gives most of the credit to his wife Kelly saying “the wives are kind of creating their own alliance”, as it is tricky for players on opposing teams to collaborate at this time and the interest to help has gone farther than just those wearing US colors. “For us to be able to give them a chance for a forever home and kind of live in that lap of luxury that a lot of dogs in North America have, if we can do that for a few of them and give them that little reprieve, it’s a great opportunity for those dogs.” said Backes. Although some have already found shelters in the U.S. willing to take the strays in, it is unclear at this time whether players will be able to bring the dogs home with them on their chartered flights. “It’s not a short flight,” said Backes “To have them under the belly of the plane for a long time, we want to make sure that all makes sense too and that we’re not putting them in any harm. There are things we need to check off the the list before we go ahead with it.” Backes has also reached out to Gus Kensworthy via twitter for advice. 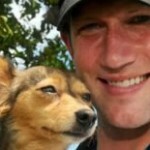 Backes and his wife Kelly, are long time animal activists. Together in 2011, they founded Athletes for Animals, a non-profit organization focused on bringing together profession athletes to help spread awareness about pet adoption, responsible ownership, volunteer and raise funds for worthy and needing organizations. Athletes for Animals is not a physical shelter, but provide voices to groups in need. It is great to see many athletes use the Olympic spotlight for something so positive. And we hope that Backes and team will be able to see some of these dogs “live in that lap of luxury” he spoke of.